Hopelessly Devoted Bibliophile: Mortal Engines - First Look! Friends. Gather around, and let me share my complete and utter excitement about the upcoming Mortal Engines movie! I know that those of us out there who have read Philip Reeve's Hungry City Chronicles might be the minority, but I can promise you that once you see this trailer you'll be just as excited as I am! Imagine a world where resources are scare. In Reeve's world, cities travel on rolling tracks and smaller cities are eaten by the larger ones for scrap. Intrigued yet? Oh, you should be. See, I told you. Now you're excited, right? Fantastic! 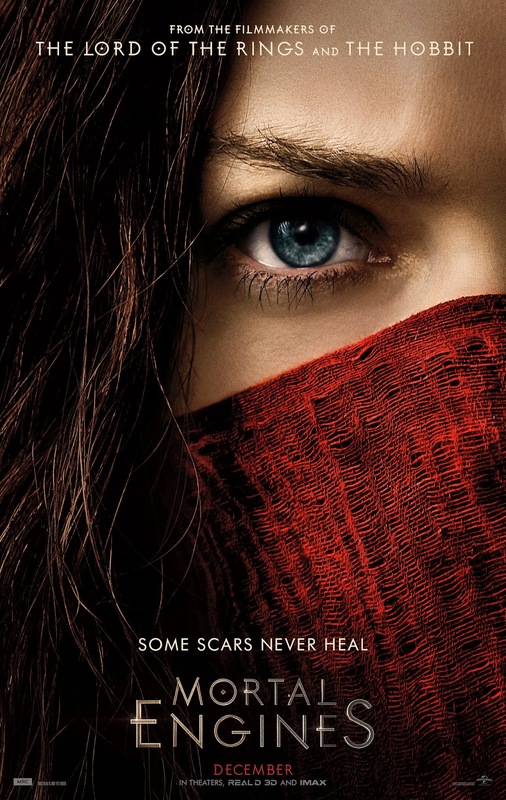 Mortal Engines will be out in the world on December 14, 2018.